G.C.E. Advanced Level Examination commenced today (06) in 2268 exam centers island-wide and 321,469 candidates will be sitting for the exam this year, Department of Examinations says. The exam commenced at 8.30 am and the candidates were advised to arrive at the exam centers by 8 am. The Department says that the exam invigilators have been informed to pay special attention to exam fraud committed using smart watches, mobile phones and other electrical devices. Any candidate who engages in such activities will be banned from sitting for exams conducted by the Department of Examinations for five years, according to the Exams Department. 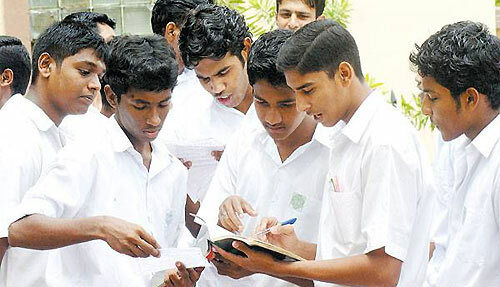 Examinations Commissioner General Sanath Pujitha says that the exam invigilators have been instructed to immediately inform the Examinations Department or the nearest police station of any outside parties hindering the candidates while the exam proceeds. Keep cramming the books and passing exams you Sri Lankan gits.